A few months ago, international news reported the collapse of buildings in an obscure place called Huruma. At least seven people died and 121 people were injured, buried in shoddily constructed dwellings that rose much higher than should ever have been allowed. There was no mercy for these impoverished slum dwellers, victims of corruption. 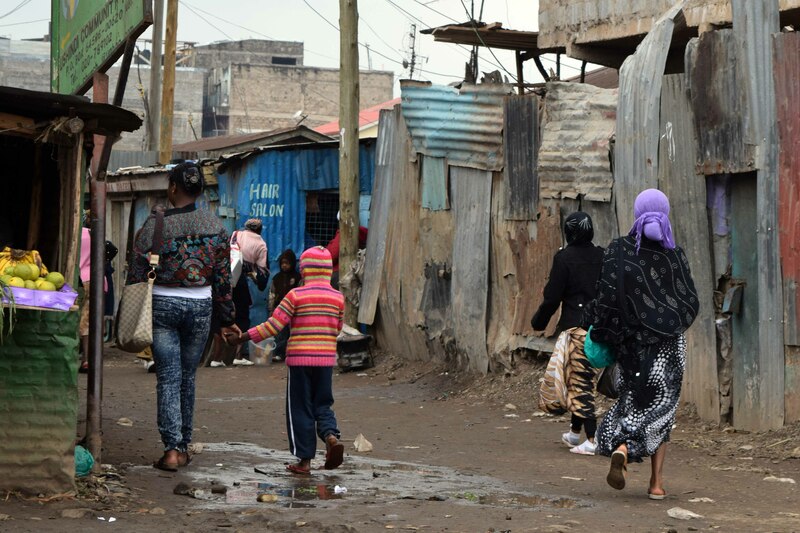 Huruma, a community in Nairobi, Kenya, is a place I know well. My first journey through its muddy labyrinth scarred me forever. Buried in its depths was a treasure of immeasurable worth. My son. Returning there last month, emotion overwhelms me. Usually when I go there, I lead teams of other people and keep my feelings in check so as to remain sensitive and supportive of others. This time, I ride in the back of a car with dear friends who also know Huruma well. With no need to serve others, the tears of my soul flow freely through the rivers of human need just outside the car window. Pulling up to the gate of Mother Teresa’s compound, I see a tiny child in ragged clothes. Her mother crouches behind her. Many people sit outside the gate, hoping for help from the sisters whose compassion never ends, but whose resources are limited in a place where destitution has no end. The little girl watches our car curiously. I smile and wave, acknowledging her dignity and beauty as a human being, belying the horror I feel. Her hair is dull and brown – a certain indicator of malnutrition. The gate opens, and we pass through while she remains outside in the masses, shut out from hope and health. Memories crush in, phantoms of the past. Arriving at the orphanage to retrieve our as-yet-unmet but desperately loved son, tears streaming down our faces because of what we’ve just witnessed for the first time in Huruma. Several years later, standing with a team and describing a tiny woman who rescued an entire orphanage from bandits in Burundi, sustaining gun wounds in the process, only to have the diminutive nun round the corner of the van where we stood as I told the story; she was smiling shyly. Children from the Baby Ward whom I loved and lost. Sarah, HIV +, who I took with team members to a hospital and cared for round the clock for several days with funds donated by friends in the US. She died a month after we left. Teenage boys (names withheld for privacy) who were street children, rescued by the sisters aged-out of the home at 18. Emma, who forever stole my heart and then disappeared forever back into the slums. Lily, who left with me as my daughter and for whom I spent 7.5 months of uncertainty and sleepless nights in Kenya, wondering if I would lose her forever, too. I stand in the place where the first photo was taken in that compound in which I appear, in 2001. In that photo, a slightly bewildered expression on my face, too much emotion to even sort through, I stand with my family and my new son. Fifteen years later, I stand in the same spot, with so many more experiences in Huruma, but just as bewildered.